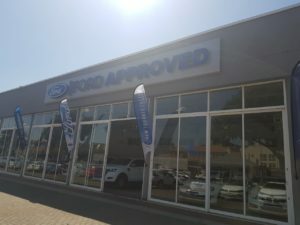 We at CMH Ford Hatfield have a wide variety of Pre-owned Ford Approved and Ford Certified Vehicles. 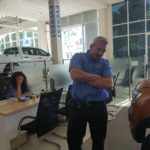 This can be very confusing to someone who does not understand what and how this affects the quality of the vehicle you are interested in or you are about to purchase. 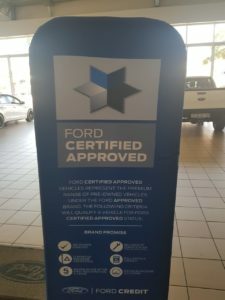 What does it mean when we say that a vehicle is Ford Approved or Ford Certified? Well, Ford Approved is Ford’s range of vehicles from a variety of brands that have gone for precise and comprehensive quality tests. 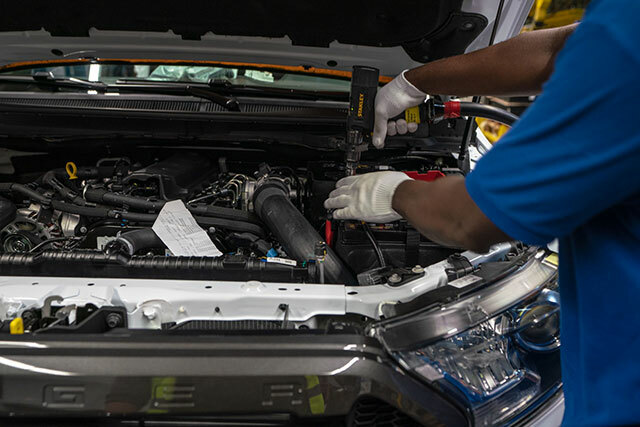 Ford Certified vehicles go for the exact same rigorous testing, but these are exclusively for vehicles with some additional benefits. 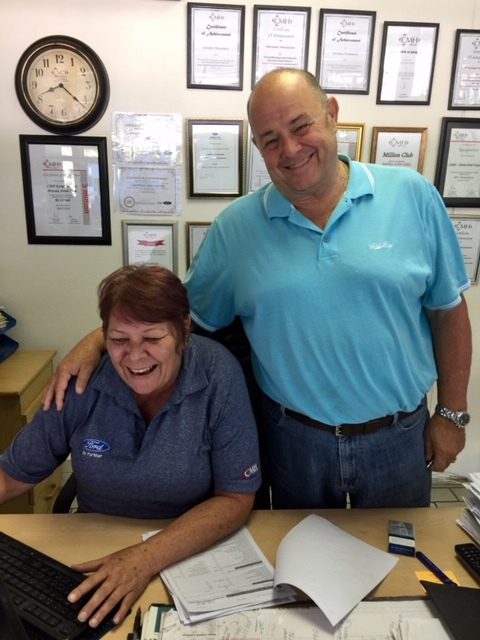 Your Trade-in is welcome, should you wish to trade in your current vehicle. 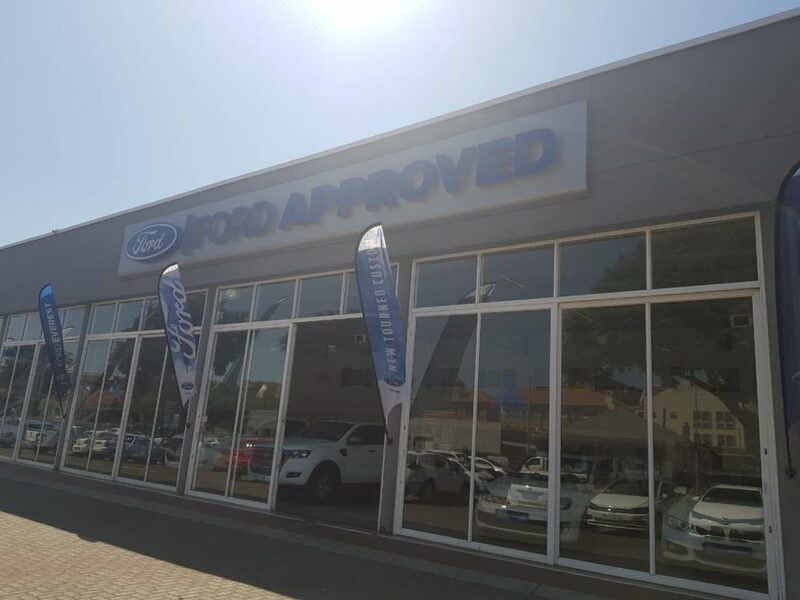 One can be very sceptical about purchasing a Pre-owned vehicle however, you can still enjoy peace of mind when you purchase a Ford Certified Vehicle because of the promise we make to you. You are welcome to visit us at CMH Ford Hatfield to view and test drive our wide range of Ford Certified and Ford Approved Vehicles. 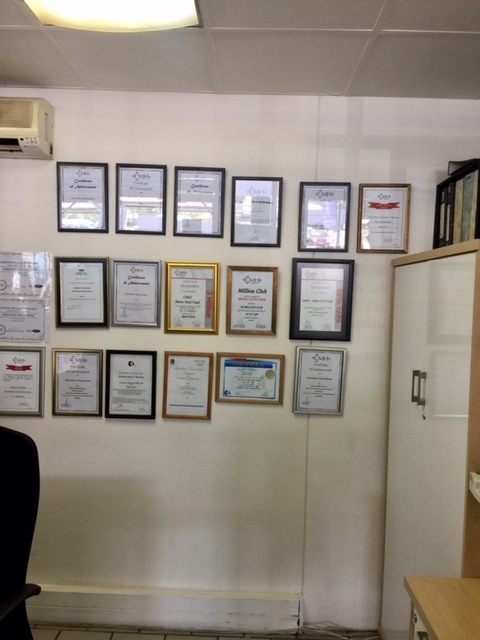 We are situated on Cnr Jan Shoba and Park Street in Hatfield, Pretoria. We go further-so can you! Thailand – Ford has unveiled its first performance-tuned Ranger Raptor at a world debut in Bangkok. 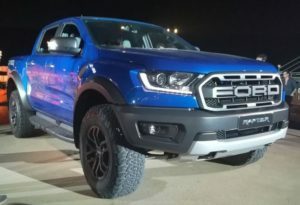 The automaker made its global debut of the first Ranger Raptor bakkie at a world-class event on Wednesday (February 7 2019). More exciting is the fact that this bakkie will also be built locally at the Silverton factory in Pretoria. 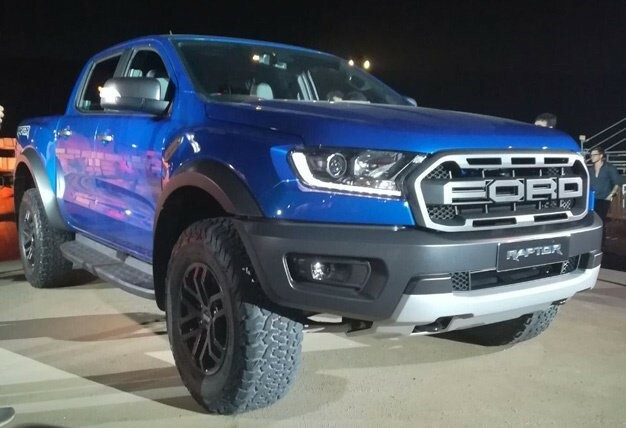 While the Ranger Raptor has been hugely-anticipated, and is most certainly a striking bakkie, South African motorists could be puzzled by the fact that it’s is only available with a 2.0-litre bi-turbo diesel. 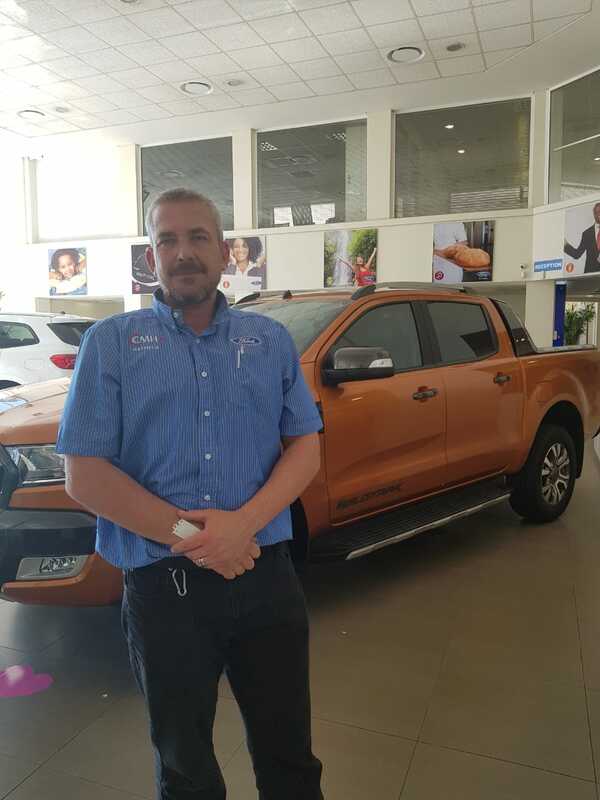 However, the automaker is convinced the smaller engine is the best option for its new bakkie. Ford SA says: “The Ranger Raptor will be coming to South Africa, with further information to be revealed in due course. There is no estimated time of arrival as yet. 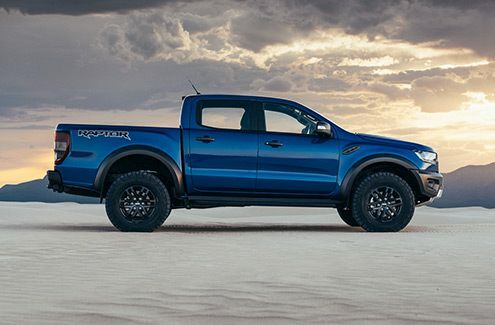 “Designed and engineered to deliver an adrenaline pumping experience, Ford Ranger Raptor sports a head-turning exterior look that exudes toughness as well as a level of capability and off-road performance never before seen in the mid-size bakkie segment. 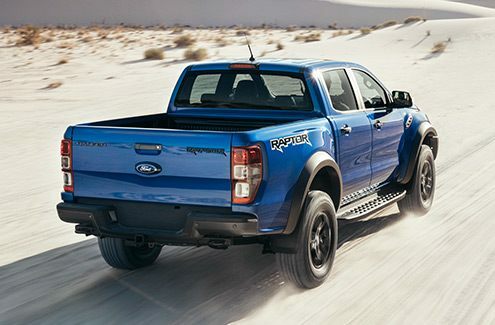 So what makes the Ranger Raptor distinctive? 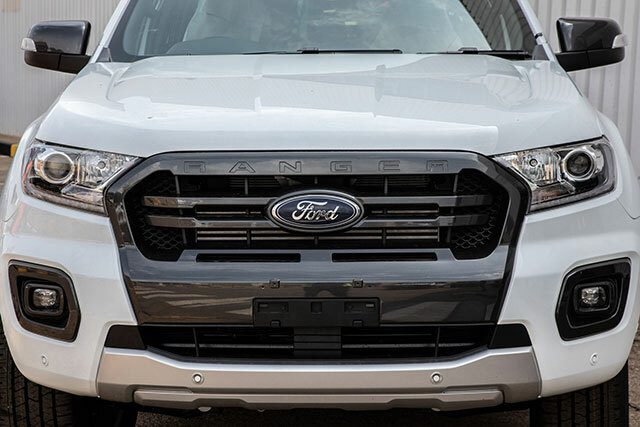 In terms of styling, the Raptor features a new, huge grille, bumper, bold wheel arches and fenders with grey accents. Ford says there are new sheet moulding compound (SMC) front fenders which wrap around the 150mm wider stance from the track. 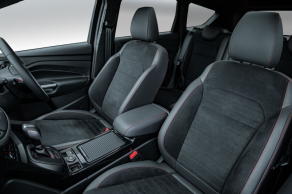 It sports 2.3mm thick high-strength steel for underbody protection. At the rear there’s a unique box side, redesigned bumper and tow-bar integration along with a functional aluminium die-cast side step. Inside, there are beautiful sculpted eats, upholstery and signature blue stitches in lightning blue. 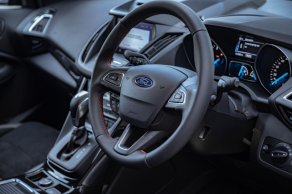 Ford reckons its cabin has been designed for comfort and confidence with the Ford Performance DNA running throughout its styling. 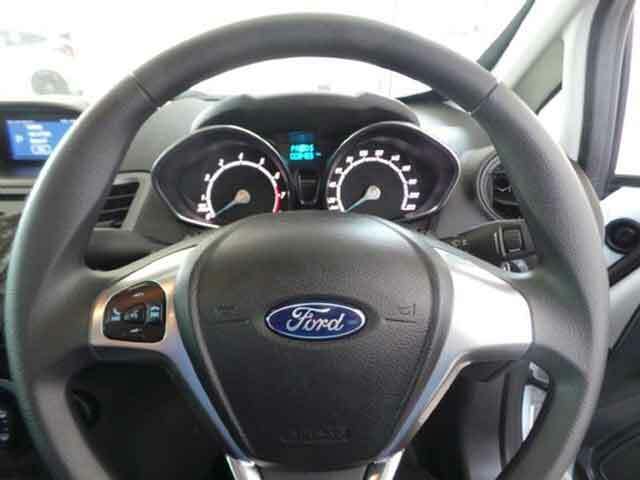 The steering wheel has a red stripe on top of the wheel as a centre marker. It also has unique spokes, debossed graphic and magnesium paddle shifters. 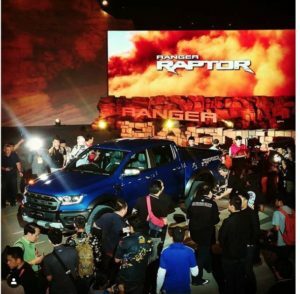 The other aspect of the Raptor’s speciality is its Terrain Management System (TMS) which has six various modes to choose from to suite any kind of driving surface, including one called Baja mode. Despite the Baja Dessert Race being highly acclaimed internationally, we reckon this could have been better suited as the Dakar mode for local buyers. 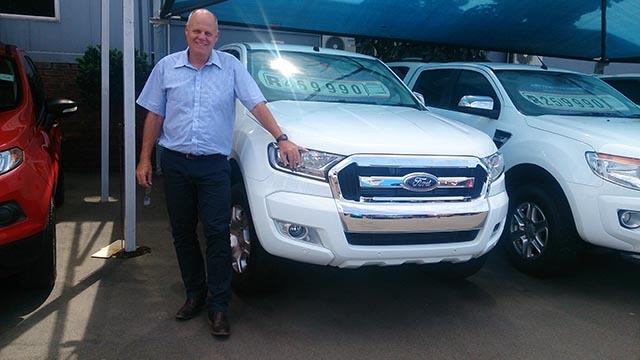 But then again, that would be stepping on Toyota’s toes with its Hilux. Each mode can be selected via a dedicated five-button switch located on the steering wheel. Sport mode: Responsive for spirited on-road driving. This means fast, crisp gear shifts at higher engine speeds to aid throttle response. The mapping reacts to increased demand inputs from the driver by holding gears longer and downshifting more aggressively. Grass/Gravel/Snow mode: Designed to inspire safe and confident driving on off-road slippery and uneven surfaces. 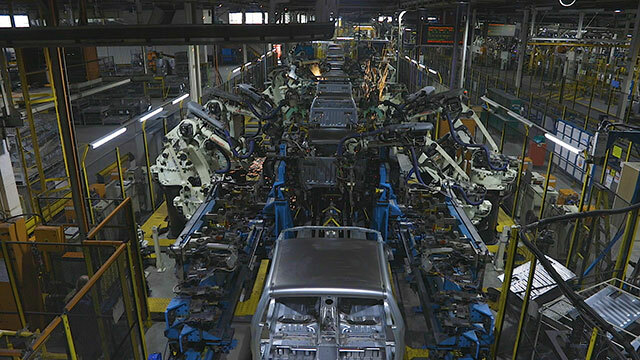 This is done through smoother gear shifts and second-gear starts, minimizing the probability of wheel slip. Mud/Sand mode: Vehicle responsiveness is tuned for optimum traction and momentum in deep, deformable surfaces like loose sand and mud. This is achieved by maintaining lower gears with high torque. Rock mode: Used specifically for low-speed rocky terrain where smooth controllability is key. Baja mode: Vehicle responsiveness is tuned for high-speed off-road performance, just like drivers need in the famous Baja Desert Rally. 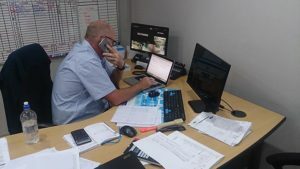 In this mode, vehicle systems like Traction Control are pared back in terms of intervention to allow spirited off-road driving without fighting the vehicle’s on-board systems. 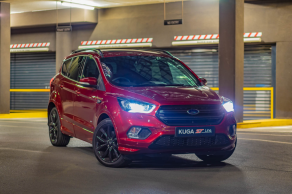 Gear selection is optimized for maximum performance, and the mapping will hold gears longer and downshift more aggressively. 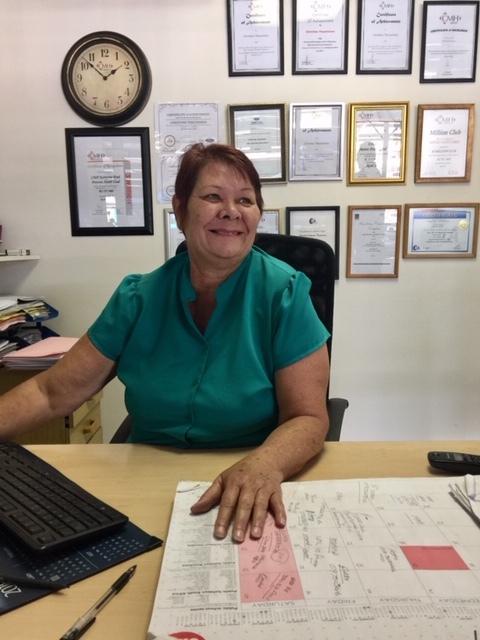 To Find out more Contact us on 0877248040 or visit 115 Flanders Drive, Mount Edgecombe. 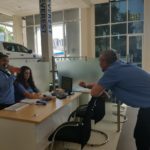 Why did you choose a career in the motor Industry? 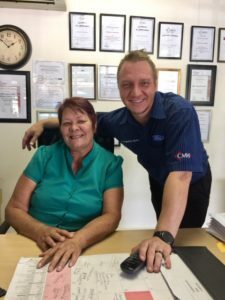 I have been in the motor Industry for a total of 16 years. For 7 years I was a Sales Executive at various organisations, and for the past 5 years I have been a Sales Manager. 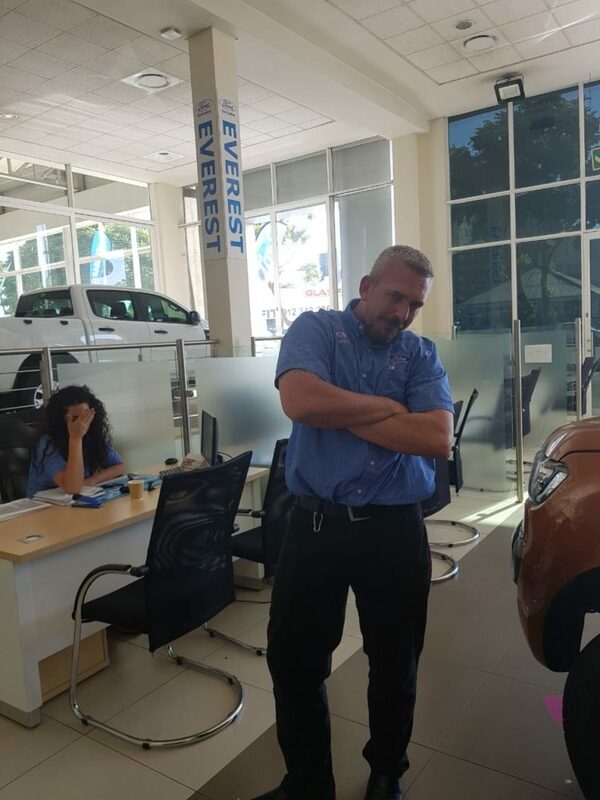 What is the one thing you love about your position as New Cars Manager? Because of my passion for people, I always love to see people grow and do well. 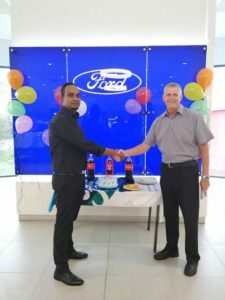 It is the most satisfactory feeling for me to see one of my team members do extremely well and achieve all their goals. I believe my job is not done until I help someone reach their full potential. One fun fact about you is? I absolutely love biking and I do it as often as I can. I belong to the Iron Skulls MC Club which also forms part of the South African biking club association. 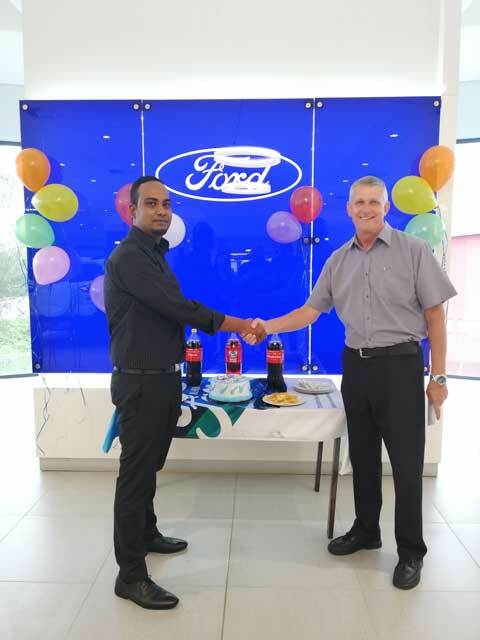 Lastly I am really excited and blessed to be a part of the CMH Ford Hatfield Team. 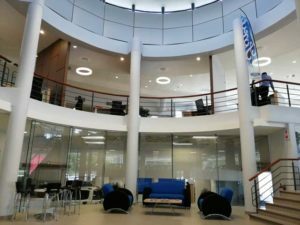 Ford options makes it easy for you to afford the car you want, all because of the flexible financing that puts you in the driver’s seat. 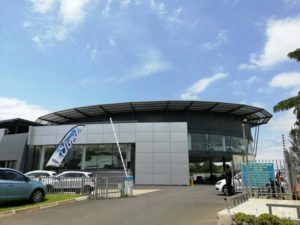 The first thing is for you the customer to choose the vehicle you want . 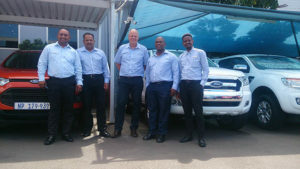 Much like its purchase price each ford model has its own guaranteed future value. 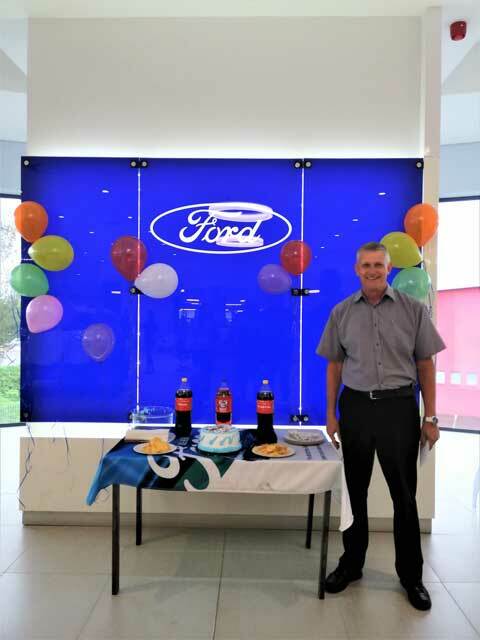 This is the value Ford guarantees your car will be worth at the end of your finance term. The second thing to do is to choose your deposit and finance term. Your finance term can either be 24, 36 or 48 months. 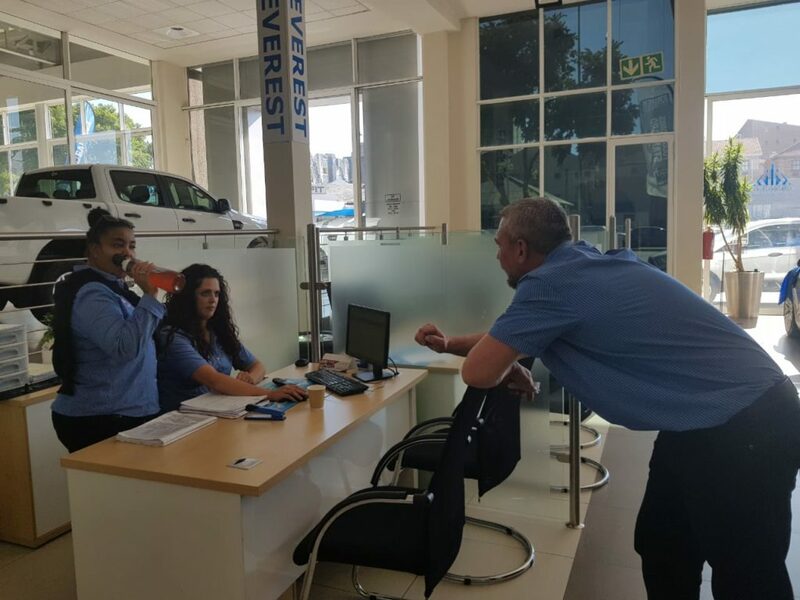 Lastly, as the customer you will then estimate your annual mileage and choose between 20km, 30km or 40km. When you’ve reached your estimated mileage at the end of your finance term you can keep your options open and decide to either return your current vehicle to your nearest ford dealer. 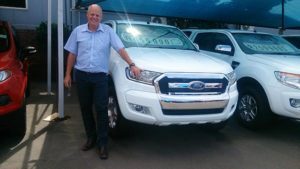 The second option is to retain your vehicle by settling the guaranteed future value or last option renew your vehicle by choosing a newer Ford model. 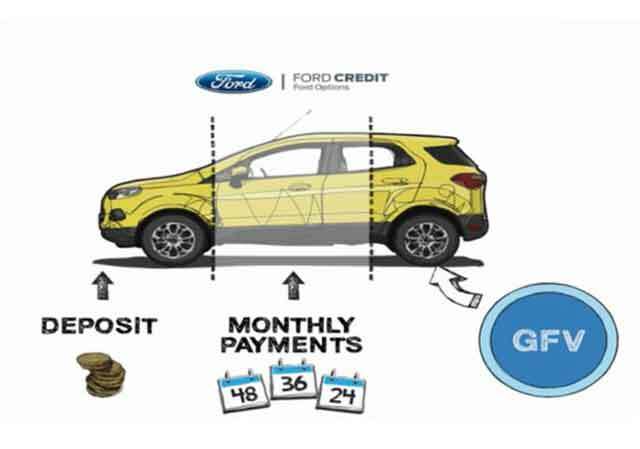 With ford options your monthly repayment is purely based on the value of your vehicle, how long you want to finance your vehicle for and your estimated annual mileage. 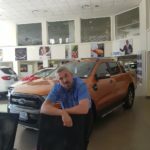 When you purchase a vehicle through ford options you truly have the power to determine what you want to do with your vehicle and how to save. 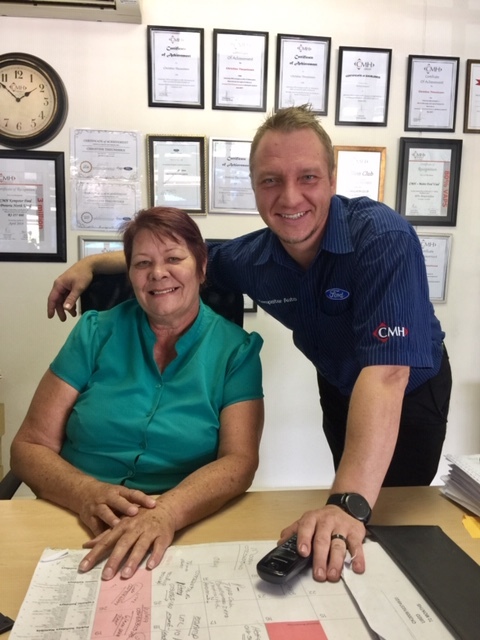 We at CMH Ford Hatfield have qualified Finance and insurance Managers who can easily explain the the process of purchasing your vehicle through Ford Options. 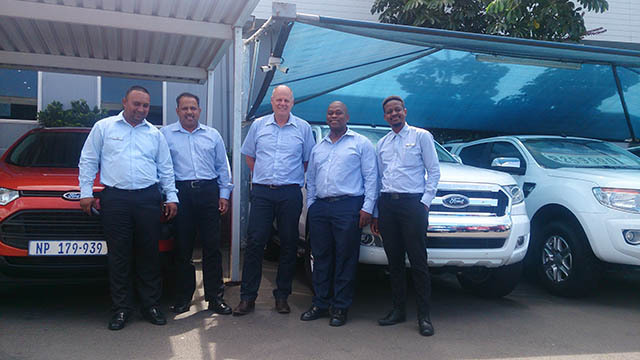 CMH KEMPSTER FORD PRETORIA would like to welcome the new FORD KUGA ST-Line. 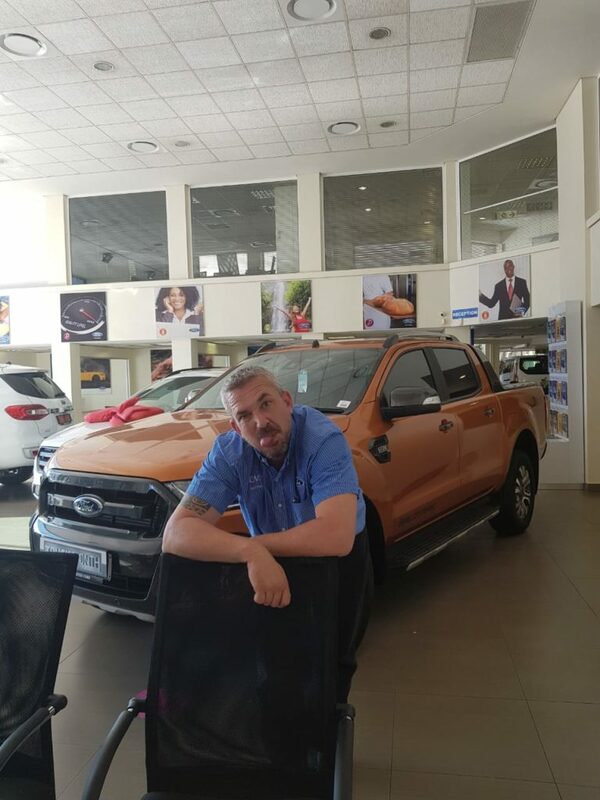 Come through and join us in meeting the new beast in all its glory and elegance. 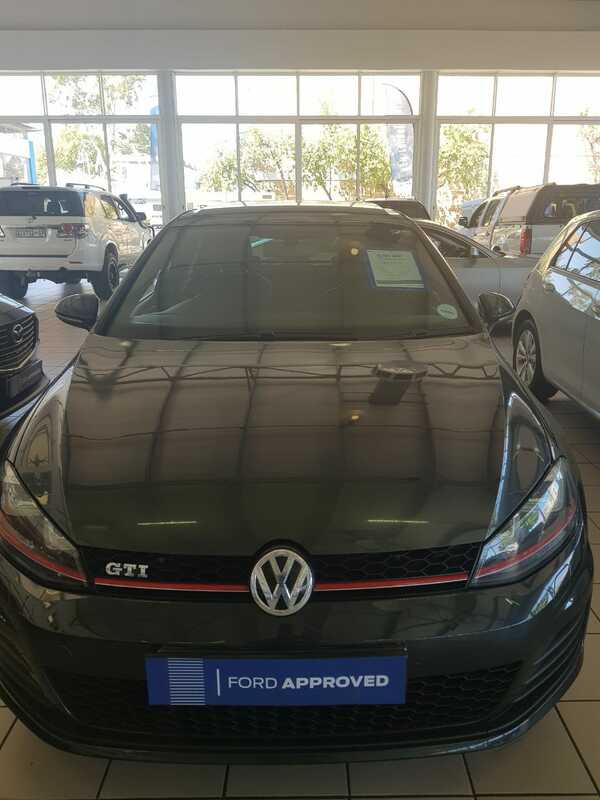 Come through and join us for a test drive and view finance option available. 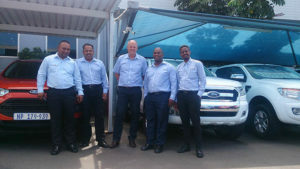 We have a wide range of financing products. Explore them below and find the one that best meets your needs. 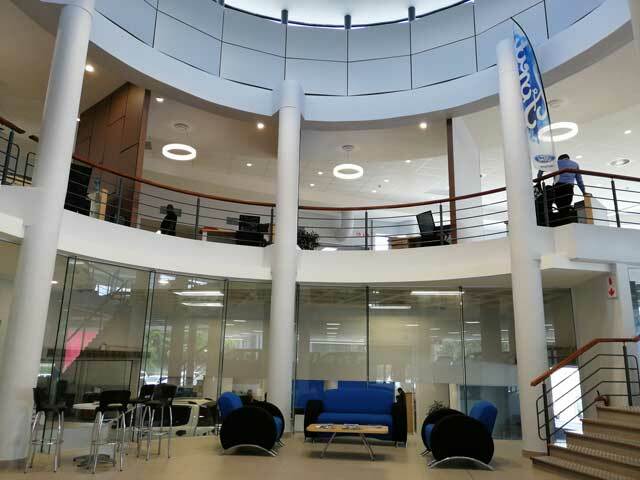 Interested in Commercial Financing? Provides security plus flexible terms and mileage options. Benefits: A new vehicle more often. 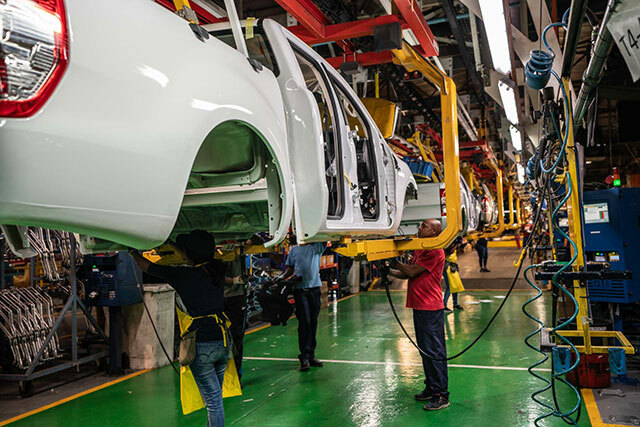 No trade-in worries – Ford guarantees the future value of your vehicle. Choose from four annual mileage options- 10k to 40k km. Choose from three terms – 24 months to 48 months. Choose a fixed or linked rate of interest. 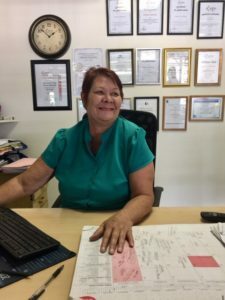 Three great options at the end of the agreement – RENEW, RETAIN, RETURN. 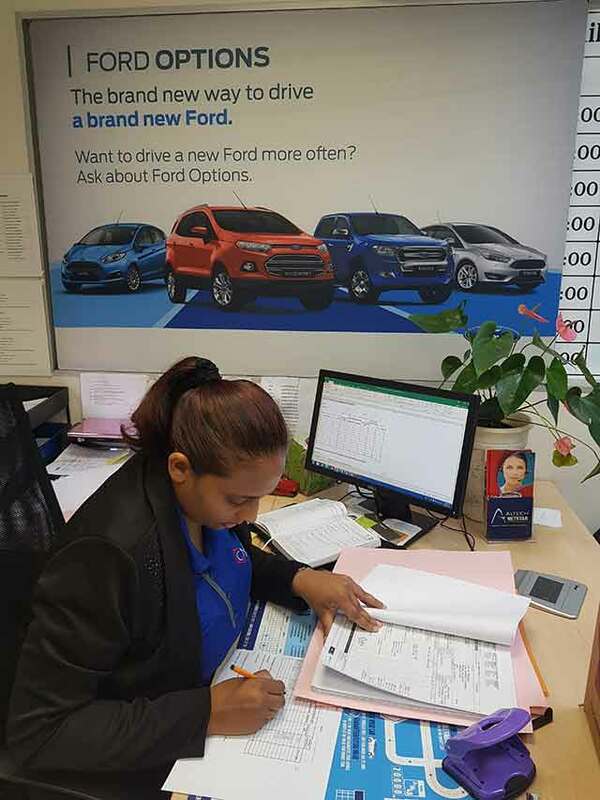 Because Everyone deserves to have options… Ford Options is our finance package that’s tailored to suit your needs. You structure your own finance deal by choosing your deposit amount, loan term and annual mileage. 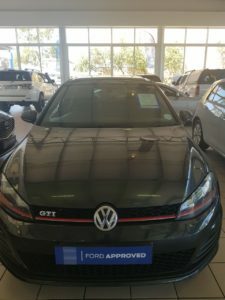 You even have the option to trade in, purchase or return the vehicle at the end of the term. 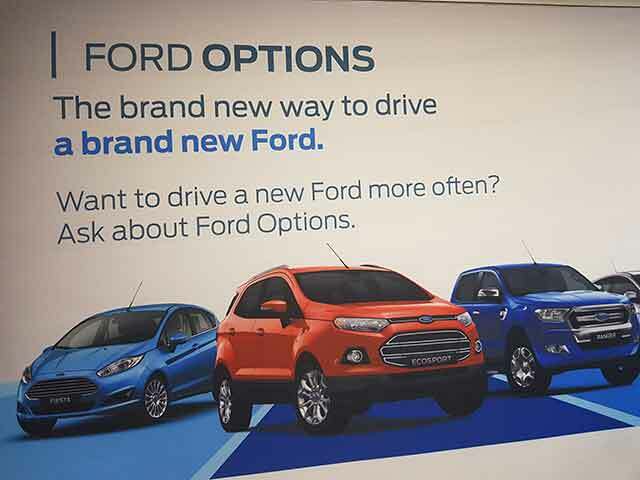 Drive a new Ford today and start paying for it in the future. 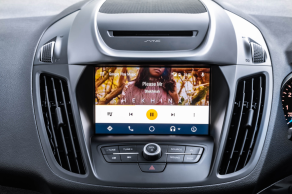 Designed to help graduates drive their first Ford vehicle. 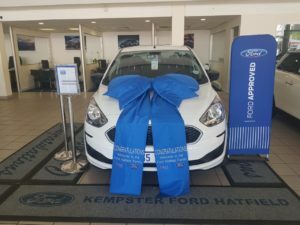 Benefits: Offers recently qualified graduates a 5% discount off the purchase price of a new Ford and a preferential rate of interest. Available on any finance plan. Getting a degree is hard work. 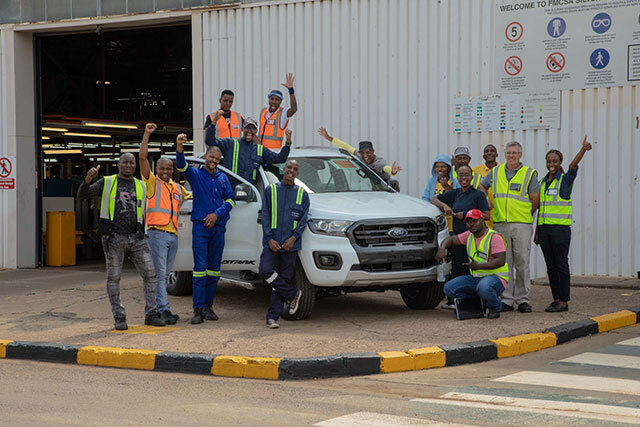 That’s why Ford is rewarding recent graduates with 5% OFF the price of a brand new Ford AND a preferential interest rate when financing through Ford CREDIT. Graduates who have obtained a bachelor’s honour’s or master’s degree, national diploma, BTech or MTech degree within the last five years.